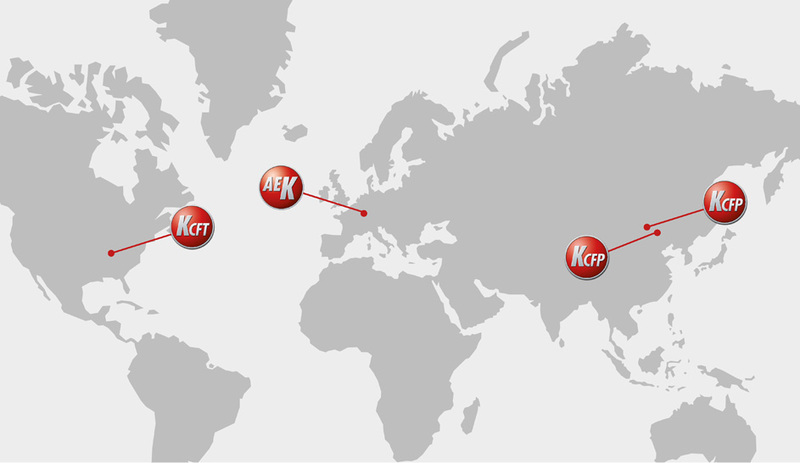 The Keller Group owns four operating sites on three continents. These are our headquarters A. + E. Keller Kaltumformtechnik in Arnsberg, Germany; Keller Cold Forming Technologies in Michigan, USA; Beijing Singu Keller Automotive CFP in Beijing, China, and Tianjin Singu Keller Automotive Parts Co. Ltd.. The Keller Group has a total staff strength of 400. A. + E. Keller Kaltumformtechnik employs around 200 staff. As suppliers to the international automobile industry, our business areas are in the sectors of cold forming technology, post-forming processing and module assembly. Our products find a broad range of applications in automobile technology in powertrains and vehicle bodies as well as occupant restraint systems. Keller CFT opened its doors in 2003, with CFT standing for cold forming technologies. From this operating site, we provide a support service for our customers on the American continent. Our offerings encompass technical and commercial counseling as well as stockholding for the entire production portfolio of the Keller Group. Since mid-2004, a cooperation agreement with Xingtai Iron & Steel Corp. Ltd., China, has been in place. This company is being set up in partnership with one of the highest performing Chinese manufacturers of wires for cold forming. Beijing Singu Keller Automotive CFP (Cold Forming Parts) Ltd. ensures support of our customers in Asia and their supply with sophisticated cold formed parts. Tianjin Singu Keller Automotive Parts Co. Ltd. In 2018 the Keller Group established its second manufacturing location in China.Tianjin Singu Keller Automotive Parts Co. Ltd. contributes to the expansion of our secondary processing, and assembly capabilities in China.The Keller Group in cooperation with Beijing Singu Keller Automotive CFP (Cold Forming Parts) vertically integrates its capabilities in the Asian market, and is now in a position to offer our customers secondary processing, and in particular machining of cold formed blanks.